This Sunday night the featured NFL game is going to be between two AFC North rivals in the Pittsburgh Steelers and the Cincinnati Bengals. The Bengals are newly rejuvenated right now after drafting two key parts of their future last year in quarterback Andy Dalton and stud wide receiver AJ Green. The Bengals are now looking to become a playoff contender year in and year out. 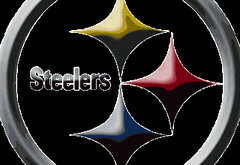 They are sitting at 3-3 on the year, and right on their tail is the Steelers with a 2-3 record. The Steelers have struggled with some injury issues this year both on the offensive and defensive sides of the ball. The biggest issues really have to be the fact that they were without Troy Polamalu and James Harrison, as well as the fact that their running game was changing weekly with both Rashard Mendenhall and Isaac Redman missing time due to injuries. This game will kick off Sunday at 8:30pm EST. Who do you like in this big Sunday Night game? This bookmaker is the place to bet! For the Steelers, they are going to be without BOTH Mendenhall and Redman, which will be a big blow to them. This means that Jonathan Dwyer will step in as the starting running back and hope to help lead this team to a big divisional road victory. It won’t be easy going into Cincinnati and getting this win, especially without their two lead running backs. They are going to rely heavily on Ben Roethlisberger and are going to need him to be on top of his game. Even more importantly is the fact that their defense is going to need to find a way to slow down AJ Green, who is on pace to have a ridiculous year. The Bengals are going to focus on getting the ball into the hands of their stud in AJ Green, and also to hopefully use newly acquired (this season) BenJarvus Green-Ellis to help ease the pressure on Andy Dalton. The Bengals defense is much improved this season, and you can bet that they’ll be riled up to be playing a home game on prime time television against a divisional rival. You have to be excited for this one, and I think that it has the potential to turn into a defensive slug fest. Have you finalized your pick? This bookmaker has some great odds on Sunday Night Football games. Sometimes it’s nice to have games be a pickem, but in this situation it’s going to make it a tough call. I really think that the loss of the two running backs for the Steelers is going to be big, and that the Bengals are going to look to take advantage of this. The Bengals have a ton of talent, and their defense is going to pressure Roethlisberger quite a bit as well. I’m going to go with the Bengals to win this one by a field goal in the fourth quarter. The under at 45 is an interesting bet as well, but I do think that the Bengals are the pick on their home field in front of a crowd who will be ready to go. Our picks are Cincinatti Bengals PICKEM and the Under 45.